Art retreat with Danita! 4 days of creating with your favorite artist! JOIN ME ON MY FIRST ART RETREAT! SEPTEMBER 21 - 24, 2017 AT NW COUNTRY ART RETREATS IN ENUMCLAW, WA. I have been creating art for more than 12 years now. Mixed media paintings, art dolls and jewelry, along with many other experimental materials that cross my path on the search for art exploration. On the way developed a very unique art style, with melancholic faces and eyes full of a sweet sorrow that speak volumes to your soul when you look at them. On this art retreat, I will be sharing my discoveries with you. If you have ever wondered where my style came from, how I paint the whimsical and surreal images from my mixed media paintings, how I create my watercolor girls, or how I give life to my big eyed handmade dolls, this is the perfect opportunity to learn with me! Anyone who has taken a class with me knows that I don't hold back anything. I love to share and see you grow. 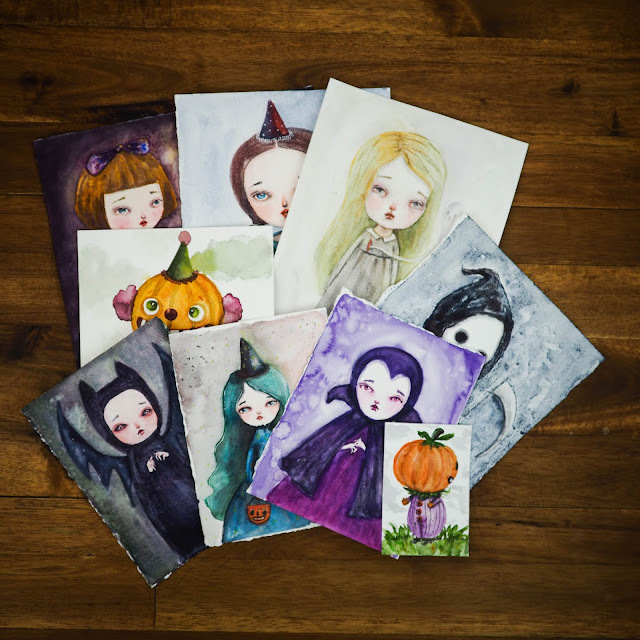 Together we will work on art projects that will give you the confidence to make your own encaustic collages with delicious smelling beeswax, magical watercolor paintings, mixed media creations and a beautiful handmade doll for you to keep. We will be bonding together for four days as I share my secret and techniques with you on an all inclusive experience in a beautiful and tranquil setting, together with nature and in view of beautiful mount Rainer. A once in a lifetime opportunity to make friends, art and to nurture the artist within you, and I will be delighted to meet you there. You can learn more about NW Country Art Retreats on their official Facebook page and Lisa's website. The facilities at NW Country art retreats are just beautiful. It used to be a farm, and Lisa, my friend and owner, did an amazing job converting into an all inclusive place dedicated for art retreats. Choose the full retreat, including meals and lodging and a wonderful experience chatting about anything, or if time is short, individual days to learn your favorite subject with me.